This Is NOT a Safari Dress! It might be a nice night-shirt, but it is certainly not a classic anything, much less a safari dress. No one in his/her right mind would go "on safari" in something so skimpy, short, and without a collar or sleeves! Unless he/she wanted to be devoured by mosquitoes. And why bother with Wellingtons in this case? Why not go all the way and wear Crocs? Oh, by the way: Crocs will give you a rash, as will any plastic shoe. And never wear Hunter Wellingtons without socks! By the way, Hunter is the brand of Wellingtons made in Scotland. Beware of situations in which your Wellingtons could be punctured. I've had my latest pair for fifteen years. They are great for working in the garden and for mucking-out stables. The idea on safari, as I wrote last summer, is to keep one's skin covered from the elements. When I manage to locate one like this, I'll let you know! Advice for summer: wearing fewer clothes--exposing more skin--will not necessarily keep you cooler. You ought to dress to prevent the elements from getting to your skin. Loosely woven fabrics such as linen, and breathable ones like silk, can keep you cool and protect you from sun and insects. You'll never see anyone (except maybe the odd American tourist) walking out in the desert nearly naked. 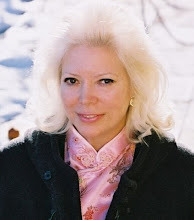 There is, before the faux safari dress, as wardrobe additon number 8: a long, white skirt with a normal waist--which, after the distortions of the low-waist is erroneously labeled "higher than the natural waist" . It's a nice item by Club Monaco, but the photo in the magazine on close inspection shows the waist slightly lower than described, with a belt. I've just looked at Club Monaco's website. Almost everything there has a low waist, so in their distorted world, a regular waist would seem high. I notice the old "paper bag" look there, with its belt below the fabric's waistline, a gimmick straight out of the late eighties. And then, the sleeveless trench-dress, for which anyone who needs a brassiere must wear a strapless affair. Clothes have been distorting the female figure ever since the return of the low waist and capri pants. And men tell me they can't stand bony anorexic women--a monster that fashion has created. No wonder there is such a market for male drugs. You know, the sort of vile garbage that unscrupulous vendors advertise by spamming your mailbox. 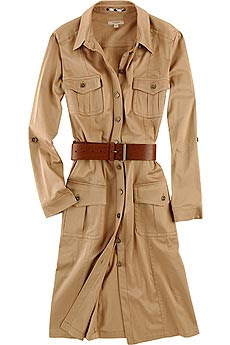 P.S.--here is a really practical safari dress from Cabela's, at a very low price. 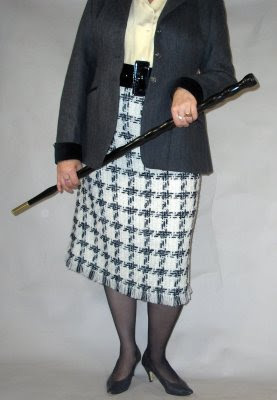 It comes closer to the "classic", though I would rather it had a normal waist and a fuller, longer skirt. UPDATE: the Cabela's Safari Dress needs its belt-loops raised two inches, so that the idiotic low-waist, which is so unflattering and purposeless on their otherwise perfect dress, is corrected. What a shame that the designers are still following a style that makes fashion victims out of women and disfigures them. So, if you order this dress, you can remove and raise the belt-loops, or wear it without a belt--but who wants empty, wide belt loops at the hip? UPDATE on Cabela's Safari Dress: I had my belt loops raised an inch and a half, after being measured by the tailor. The safari dress now hangs properly. 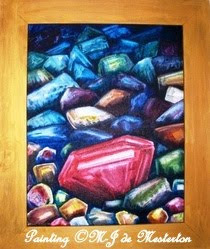 The process cost $15.00. What shoes would one wear with a real safari dress or skirt/shirt ensemble? Considering what I've said up above about the nature of safari dressing, stout shoes with knee-socks would be ideal. There are some very attractive shoes and low boots made for the purpose. After all, no woman who is actually in the outback, the savannah or in the woods ought to be teetering about in the latest spike-heeled, peep-toe pumps, unless she wants to serve as some famished lionesse's hors d'ouevre. Update: J. Peterman Co. has an elegant, long safari dress. Beware, though, as it is cut small. Their size 16 is equivalent to a size 12. "When Words Have No Meaning"
That's the title of the email my husband sent me from his computer in the other room. "This actress is being lauded for wearing 'high-waisted' trousers: this is what now passes for a proper waist, and while I concede that it is better than the blubber-inducing-hip-hugger-from-hell craze, these trousers are at best riding on what used to be considered the hips. And you have railed against the low-waist epidemic for years!" M-J's reply: "They really ought to stay off the hallucinogenic drugs over at OMG." Noise can drive you out of your mind, or at least raise your blood pressure. AEG Electrolux, the innovative yet old and venerable Swedish appliance company has a campaign to create noise-pollution awareness, together with an electronic sign company called, ironically, "Blow-Up". I remember reading in Dagens Nyheter in the year 2000, about women who worked at nursery schools in Sweden being driven mad by the noise of many children at once screaming and shouting all day long. They had nightmares, and many other horrible symptoms, both physical and mental. Imagine the impact such a situation has on little children! I pity them, and consider myself fortunate to never have had to suffer pre-school or nursery school, where the very young child is forced to vie for attention among a great throng of others. It must be conducive to terrors and frustrations, and cause them to scream. Neighbours with barking dogs at all hours of the night are causing those around them to lose sleep, which can lead to the loss of jobs and can harm relationships because of its effect on the nerves. Booming car stereos that resemble thunder, or, even worse, replicate the sounds of bombing and earthquakes can terrify the calmest of adults. Noise pollution has many forms; some can be ameliorated, and some cannot. Electrolux is making quiet appliances, and that's important to city apartment living. We should all strive to make life serene by keeping our environment quieter, if possible. Peace begins with us. 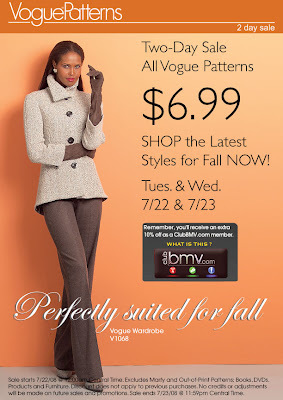 If you can't or won't sew, give the pattern and your choice of fabric to a seamstress who will. It's time for designers and marketers to stop calling a true waist a "high waist". Just because the industry bastardized the waist for so many years (actually eliminated the waist altogether), and it was nearly impossible to find anything but the old, tired hip-huggers from the sixties and seventies, they assume that they can call anything that actually lands on the waist "high-waisted". Innumerable are the times have I explained to both men and women that to wear trousers starting below the navel is to seriously truncate one's legs. How many people are lucky enough to have very long legs? Only they can afford to sport this fashion foolishness without looking short and dumpy. A skirt or pair of trousers that doesn't come up to the natural waist is a waste of money. It is neither classic nor flattering to your figure. Photo Copyright M-J de M.
A twenty-pound bag of Purina Cat food costs around $15.00 at Sam's Club, and will feed one cat for six months or more. Cat litter may be bought in bulk, packaged in reusable plastic storage-buckets. Cats naturally repel mice from your home. They are cleanliness-loving creatures who like to clean up after themselves, and resist things that are dirty, unlike dogs. 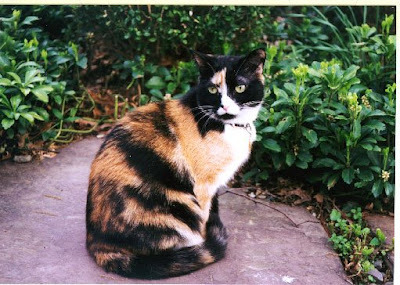 Cats can be left alone in your dwelling for days at a time, provided with dry food and water dispensers (they emit the food or water gradually from a plastic storage bin), and a couple of cat-boxes. Technological geniuses have developed litter-boxes that are self-cleaning. Cats will sleep most of the time while you aren't home, and will amuse themselves for a few minutes a day to get their exercise. 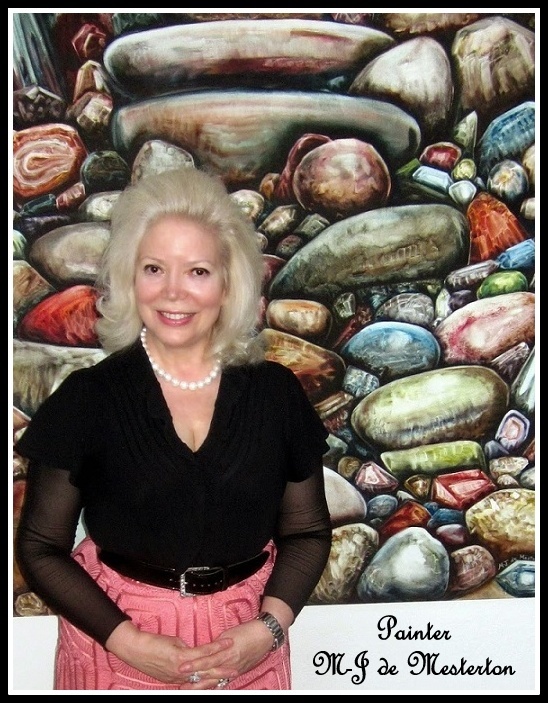 Photo copyright M-J de Mesterton 2008--click image for close-up. Usually available in the U.S. for 5.99 per bottle. Tempranillo is the emblematic Spanish grape, and these are grown in the Castillo y León region of northern Spain. Hints of cherry, blackberry, and strong minerality combined with spicy leather and pepper notes make this a full-bodied red wine, yet it is not heavy on the palate. Its tannins are smooth, with a hint of oak. 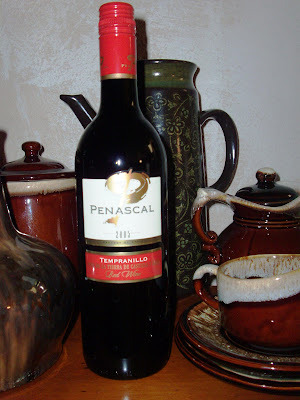 In 2005 and 2006, we served Penascal Tempranillo Red Wine 2003. It was always popular with our guests, and so is Penascal Tempranillo 2005. With the price of nearly everything going up, you need to have a good wine (and a good whine), at a low price. A good, low-priced wine from Spain comes in handy when you are hosting a party and need to purchase a case. Ladies and Gentlemen: Santa Fe Sticks are the most elegant survival tools for men and women. Santa Fe walking sticks are hand-carved from the world's strongest, most beautiful exotic hardwoods, resplendent in their natural colors. Each stick is custom-designed and fitted to your needs, then expertly fitted with Santa Fe Sticks' proprietary brass, bronze or stainless steel tips and sometimes tops. Completely custom-made from the strongest, most exotic hardwoods on earth: Santa Fe Sticks. one of the funniest women of all time! In today's International Herald Tribune, Eric Asimov says that there are "Rewards for Drinking on the Cheap", and then alludes to the Frank Zappa song, "Cheepnis", from the early 1970s. He seems to believe that spending twenty-five dollars is "cheap". Then, he cites some pleasant wines that cost 15 and 12 dollars. He hasn't read Elegant Survival. I'll go you one better, Mr. Asimov: I'll sing the opening line of Cheepnis, and show you what REAL cheap wine is! 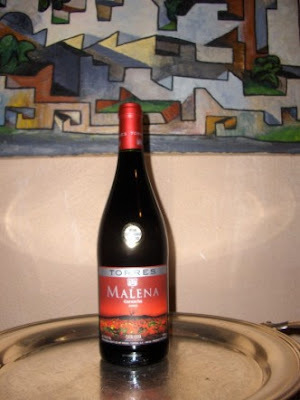 In the past, I've recommended a Provençal wine, Le Pigeoulet (8-10 USD), an Argentinian red from Vistalba Cortea de la Estancia Carlos Pulenta for circa 11 USD, and now the topper of my list of low-cost good wines, which I have been touting for nine months: Torres Malena Garnacha Spanish red table wine, a steal at 6 USD--about which I have heard nothing but stellar reports, both at our parties and on the internet. 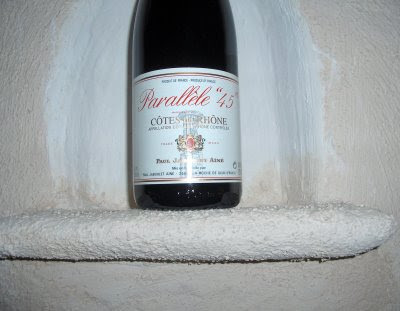 Then, there is my old fave from France: Parallèle"45"Côtes du Rhône Paul Jaboulet: always dependable and reasonably-priced at 6-8 USD. I appreciate his piece on cheaper wines, though. Eric Asimov is well-motivated, and apparently a fellow Zappa fan. I'm glad that somebody is scouting-out inexpensive wines. I've always believed that there are high-quality wines costing little, and what we consider to be low-quality wines costing a lot. Because I'm so happy with the aforementioned bottles, I'm not looking for more wines to recommend these days, but if I discover one, I'll share it here. Come to think of it, we'll be visiting a friend who is a wine distributor this weekend...meanwhile, I recommend reading Eric Asimov's article!